Welcome | Premier Accounting Services P.C. Premier Accounting Services P.C. is a full-service accounting firm serving clients throughout the Gloucester County, New Jersey area, dedicated to providing our clients with professional, personalized services and guidance in a wide range of financial and business needs. At Premier Accounting Services, P.C., we provide professional accounting, consulting and tax services to both individuals and small businesses. Whether you are looking for financial analysis, tax planning, accounting services or are in need of some specialized help, Premier is here for you! Our staff of Certified Public Accountants has over 25 years of experience and are certified in the following programs: QuickBooks and AccountEdge. Congratulations to our own Rachel Furman who recently received her certification as a QuickBooks Online ProAdvisor! 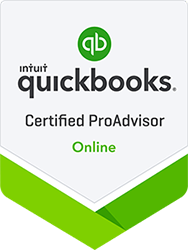 The QuickBooks Online ProAdvisor certification is designed to deepen the expertise of accountants who are already knowledgeable in QuickBooks and distinguish Rachel as an expert and highly proficient in the field.